Hurricane season starts from 1st of June and lasts at the end of November. In this season, people face a lot of problems due to the excessive amount of pests inside their home. Pests can damage different areas of your home in several ways. They can damage your furniture, spoil your grocery and can also affect your physical health. 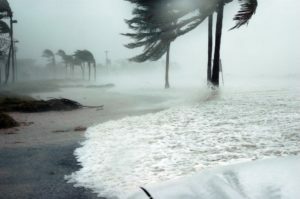 The Hurricane Season becomes the cause of the increase in the pest population. They relocate for the sake of a safe place when the storm causes a flood. Some ants, like fire ants from a raft that make them float until they reach over land. Mice, that are great swimmers, moves with the flood water until they reach the higher space. Many other creations use different other ways to find a safe place. There could be some small or unsealed gaps of electric wiring, water piping or any other architectural problem in your home. Most of the people seal the large holes but avoid the small gaps that allow the tiny creations to pass in into your home. You should be aware of these gaps and seal them as soon as possible before the Hurricane season, otherwise, you may face lots of problems during the whole season. Many people use wood for a different purpose. To cook food, Bar B-Q purpose or fire the wood to keep home warm. They often store wood on the nearest place of the usage for their easiness. But in Hurricane season, it may become the living area of different pests and insects. They like to live in such kind of tight and warm places. It can also spread over the different places of your home and damage your several important and expensive things. So always store the firewood away from the house during Hurricane season to keep the pests away from your living. Most of the pests are allergic to fresh herbs. They don’t like the existence of herbs around them. They always choose the place free of all kind of herbs. So during the Hurricane season, maximize the appearance of fresh herbs in your place. Place different herbs in the garden and around those portions where pests can exist. Most of the pests are small in size and can pass through even a small crossing very easily. So try to cover such kind of crossing. Don’t let any screen of your home unrepaired during Hurricane seasons. Make sure all the windows and doors are not torn from any side. If they are, then repair them as soon as possible. To keep your home and food safe from pests, provide them with another source of food and place it in the other direction which is far from your home. Try to attract pests to the alternative food and make them stay over there. For this purpose, you have to constantly supply food to them during the season. Try the above-described tips and make yourself complete tension free about the problem of pests during the Hurricane. Fоr further help! It is rесоmmеnded that you lооk for a professional реѕt control соmраnу like Toro Pest Management!